A boutique hotel, solitary collections of antiques with a waterfront restaurant offer an award-winning experience. A museum is not a place of artifacts, it’s a place of Ideas, a place of treasured memories. 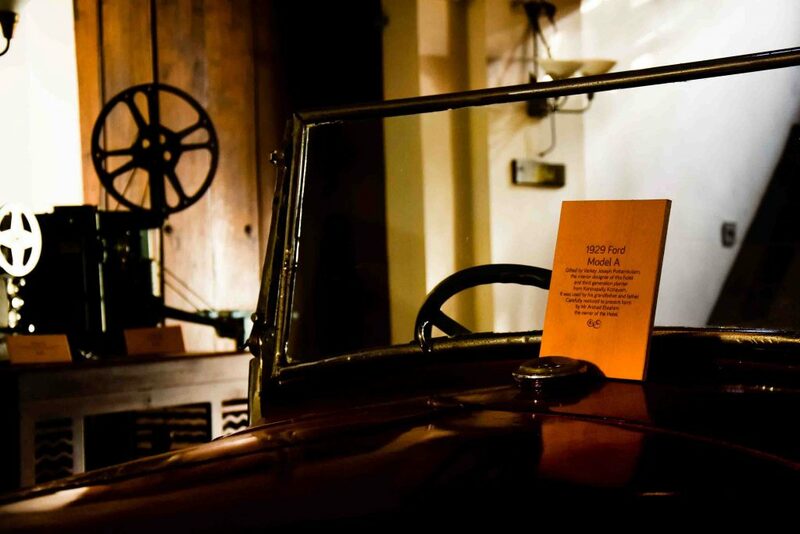 Being India’s first Museum Hotel, “The waterfront Granary” is exceptional in its own inimitable way. This place is located in the heart of Mattancherry Bazar Road with panoramic views of the backwater on the other side. 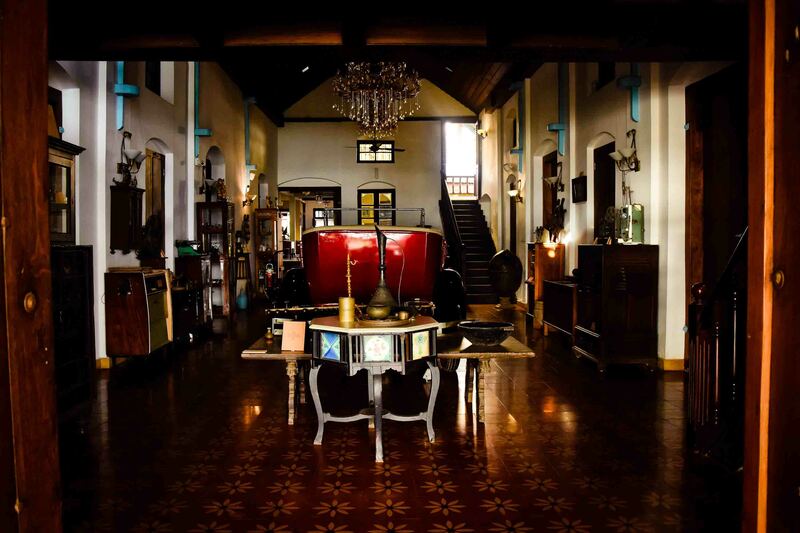 An 1877 Granary revamped into a Charming antique theme hotel two years back by the Ebrahim Brothers.And it became the India’s First Museum Hotel. Afthab and Arshad Ebrahim, hailing from the Singeri family of Kutchi Memon descent. The family migrated from Gujarat in the early 1800’s to Cochin. They have shared valuable segments of their family history at the hotel. A passionate antique collector with a wide collection of varied artifacts. Rare family photographs and artifacts showcase an era that has been frozen in time. The arts of the ancient world have loomed here. The museum hall on the ground floor houses a collection of antique furniture, sculptures dating from ancient times and 1928 Ford Model A. Here is what General Manager of this Hotel had to say upon asked during our Staycation. 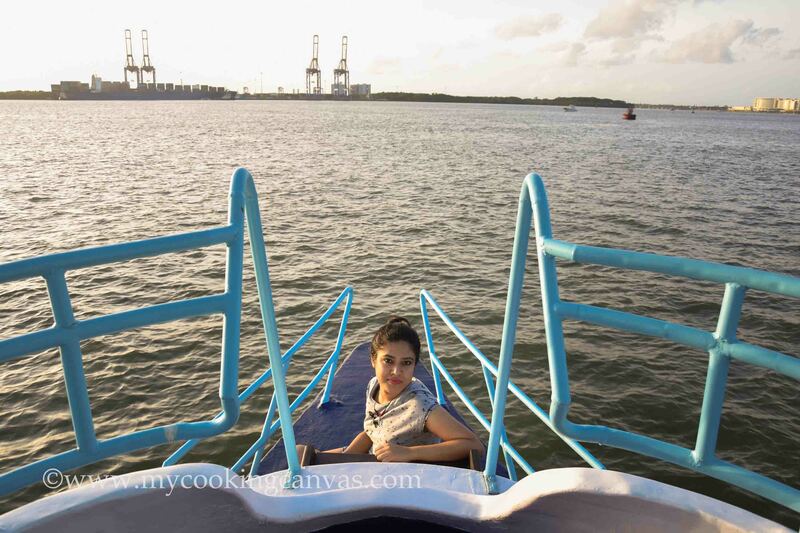 Have you ever woken up with a pleasant eyeshot of the serene backwater? We stayed in a Museum Room of this property and were blessed enough with those panoramic views of the backwater. This one I clicked in the golden hour, the water shimmered poetically in the sunlight. The other end of the view was Willingdon Island. It is the largest artificial island in India. 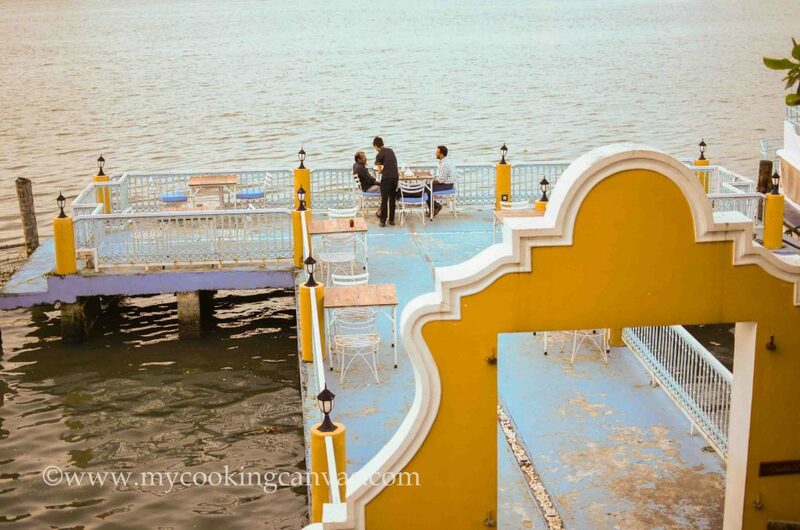 .The Waterfront Granary is a marvel among the old adjoined buildings on the Kochi Bazar Road of Mattancherry, where traders of spices, rice, and pulses etc. thrive. This hotel is the exemplary vision of the Singeri Brothers, Afthab Ebrahim & Arshad Ebrahim. You will find a Singeri family old Photograph as soon as you stepped into the hotel. It was clicked in1951 when patriarch Janab Yacub Mohammed embarked on the Haj. It took 3 years to revamp an old Granary into a place which gives you the sense of a living museum along with Exquisite Service for a comfortable stay. There is a Grand Piano dating back to 1790. It was manufactured by order of her Majesty, the Queen of England by premier piano manufacturers John Broadwood & Sons, London. A swimming pool to keep fit and rejuvenate, a library to keep you updated in the Museum Hotel. There is an In-house cruise to ferry guests for a breathtaking view of the sunset. This food is from Bhuj which resides in Gujrat. The Singeri family of Kutchi Memon descent from Gujarat in the early 1800’s to Cochin. 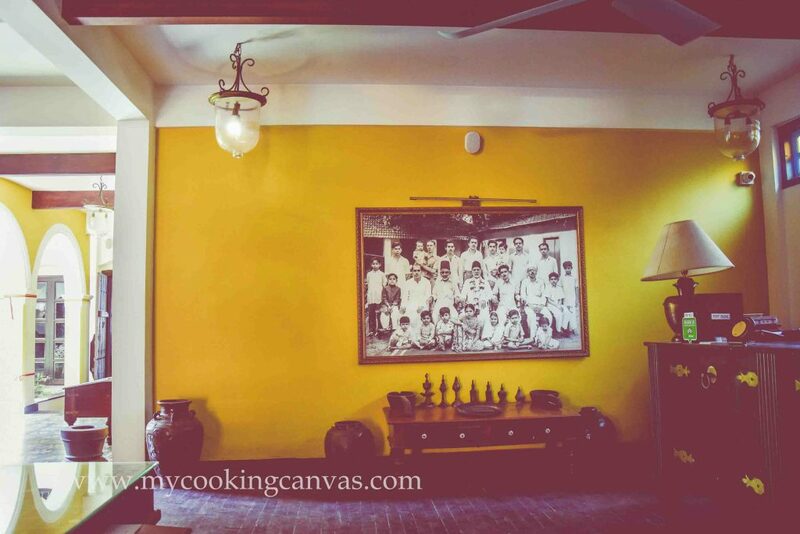 Hence you will get to taste all those heirloom recipes of Singeri’s family at this Museum hotel. And all these get served right front of the backwater in its waterfront restaurant. The aromas of the ingredients are lingering in every corner of this place. Undoubtedly Cooking is an art to touch one’s soul. But at the same time taste, smell and texture all matter to delight your senses. You can truly shake things up with these aromatic dishes. Apart from these, you can relish food from God’s own country. 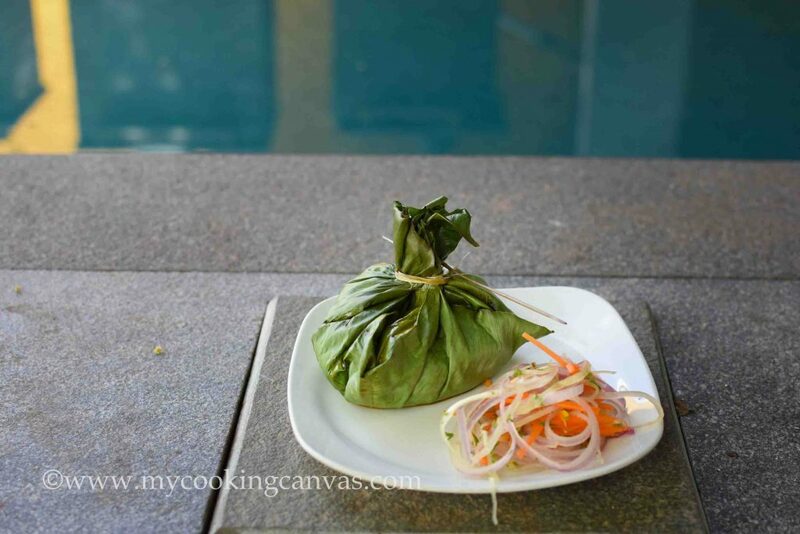 I loved Chemmeen Pollichattu (Prawn Masala cooked in Banana Leaf pouch). You too enjoyed “chaya” with the sunset view. There is an elegant Church “Church of Our Lady of Life”, which is just 5 minutes walk from the India’s first Museum Hotel.One of the major events in the history of Christianity in the country – the Oath by Bent Cross – took place at this church, on Bazaar Road in Mattancherry. This event led to the emergence of the Syrian Orthodox Church in India. With an impressive Portuguese architecture, this Church is noticeable among the traders on the Mattanchery Bazar Road. 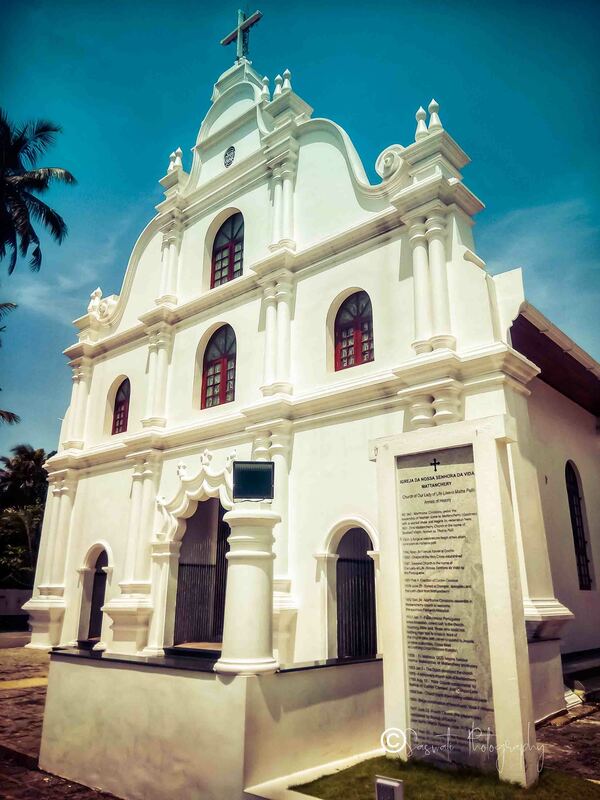 It is one of the first churches built by the Portuguese in the suburbs of Cochin. Retrace your footsteps a little ahead and you will reach the gorgeous Jew Town. Those narrow parallel streets are full of curio shops complimenting with artifacts. The display outside of each shop will tempt you to check inside. A few shops are a complete inventory of new and antique used stuff. A mind blogging collection! You never know what you may discover there! Starting from a massive traditional Kerala boat to Jewish exquisite embroidery, everything on sale.